What is a Cocktail Pool? Cocktail pools are simply small pools that allow for a relaxing, elegant atmosphere in your yard, or any place with space limitations that you would like to have a pool built. These customized pool designs can include decking, a patio, and any other features you have in mind. Cocktail pools can be as modest or as lavish as you’d like. Water features can be included to enhance the aesthetics, and the shape and size of the pool can be designed to complement your home and the pool’s use. Why Consider a Small Pool Design? Not only can a small pool design meet the demands of your yard or space, they can also be easier to maintain. Even if your yard can is big enough for a larger pool, you may only want to dedicate a particular area, or amount of time and energy to maintenance. In this case a small pool would be perfect for your needs. 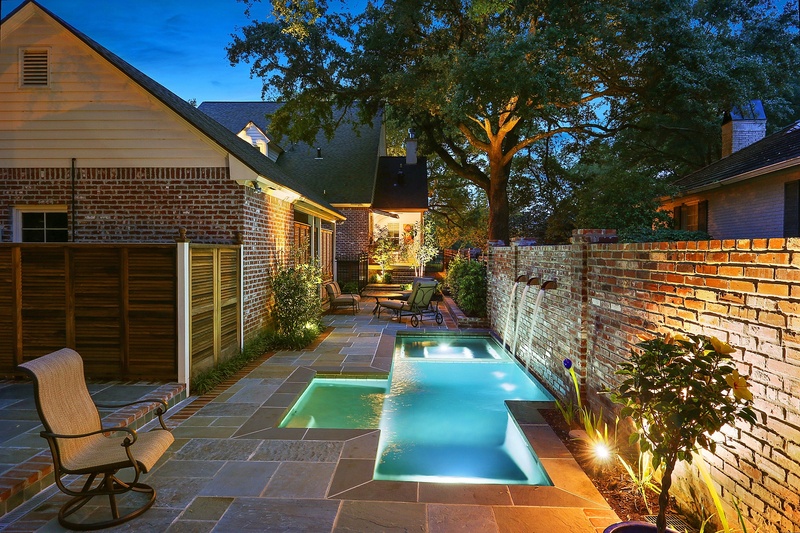 Also, small pools can allow for additional features such as an outdoor kitchen or larger entertainment area. What Else Can Be Included With a Cocktail Pool? As with any custom pool design, the sky is the limit, space permitting. Water features, decking, patio, you name it. The experts at Lucas Firmin Pools can design the perfect pool and accompanying space to put the luxurious escape of your dreams only steps away from your back door. So if you’ve been thinking about a pool for your home but thought you just didn’t have enough space, a cocktail pool is the perfect answer. Lucas Firmin Pools specializes in high-end residential pools and spas, using only the highest quality products, materials, and equipment. Reach out to the professionals at Lucas Firmin Pools and let them customize the perfect cocktail pool design for your yard.